Brief Synopsis – An epic love story that takes place in Russia during WWI and the October Revolution and their aftermaths. My Take on it – I had wanted to see this movie for quite a long time and just never got around to it. I have seen a number of David Lean’s epics in the past The Bridge on the River Kwai (1957) and Lawrence of Arabia (1962) and fully expected to be blown away. I was…sorta. The scope of the movie was definitely epic, it portrayed numerous characters over a relatively long period of time. The scenery and camera shots were done amazingly, but the story felt somewhat choppy. The novel this movie was based on was close to 600 pages long and even though this movie weighs in at a whopping 3:20 min, it still doesn’t feel complete. I did enjoy it, but some things seemed missing. I loved the casting. 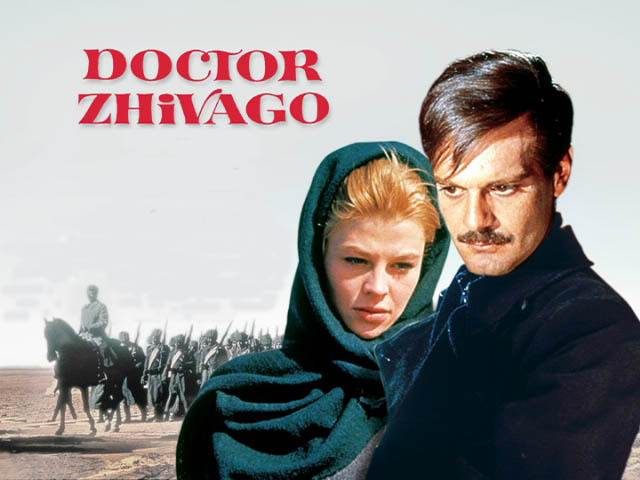 Omar Sharif, Julie Christie, Rod Steiger, Geraldine Chaplin and Alec Guinness were all great. In my review of The Sound of Music (1965), I stated that I wasn’t sure if it was better than this movie, but now I feel someone perplexed as to which was better. In the end, I think I’ll have to say that since The Sound of Music (1965) seemed more complete, I guess it is better.